As someone who is planning a trip to Walt Disney World trip, I have to admit that I’m a little intimidated. I haven’t visited a Disney park in nearly 10 years, and I know a lot has changed — new rides, new shows, new lands — but also new modes of transportation, technology, etc. that support the Disney experience. 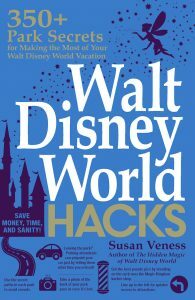 Thankfully, after reading the new “Walt Disney World Hacks” book by Susan Veness, I feel much more prepared to plan my trip. I’ve read encyclopedia-length Disney trip-planning books before, but I much prefer the bite-size format of Walt Disney World Hacks. It’s a book that you can pick up and read a few pages and put down, but you’ll want to read this one from cover to cover for all of the valuable tips and tricks inside — more than 350, in fact. From the first page of chapter one, I already had a nugget of advice to take with me: schedule my FastPass+ (gone are the paper FastPasses I lived by on my last Disney trip) selections backward, starting on the last day of my vacation, where there may be less competition. This is especially useful if you’re staying at a Walt Disney World resort or affiliated resort. Another tip that I wish I had known during my last trip to Florida: let your camera sit outside in the open air for a bit before hitting the park. Otherwise, your pictures will look like a fog screen as the lens adjusts to the warmer temperature and increased humidity. Whether this is your first trip to Walt Disney World or you consider yourself a seasoned pro, I guarantee that you’ll learn something new by reading Walt Disney World Hacks — the book has both “newbie alerts” for first-time visitors and “pro alerts” for more frequent Disney park goers. A tip of my own: grab some individual page markers so that you can easily reference your favorite tips. 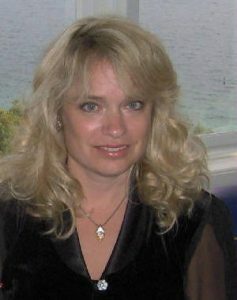 Author Susan Veness’ resume is impressive. Her job titles include travel writer, researcher and itinerary planner — just to name a few. She’s authored other books such as “The Hidden Magic of Walt Disney World” series, and she co-authored “The Brit Guide to Orlando.” Based out of the Orlando area, she’s been visiting Walt Disney World since it opened in 1971 — she’s seen the resort’s transformation take place firsthand. C101: What inspired you to write this book? Some people might want to keep their hacks under wraps. Susan: Like most people, I was an overwhelmed Disney visitor during my first few trips many years ago, and I remember what that felt like. As my family’s primary vacation planner, I learned little tips and tricks over time that made the process less daunting. When I moved to Florida, Walt Disney World vacations became a big part of my newspaper and magazine writing, and I spent a lot more time in the parks, much of it walking around and taking in the smaller details. I also watched families having a magical time, and a not-so-magical time. Most challenges guests face have a solution, and it’s a pleasure to share those solutions. I love being able to help other visitors come away from their trip with happy memories, and be as eager as I always was to return. How long have you been compiling these hacks? 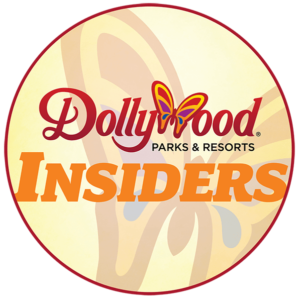 I supposed I’ve been informally compiling them for decades, since I was always on the look-out for ways to make my own Disney vacations easier and stress-free. When the time came to compile them as a book, they came together quickly. Before writing the book, how did you organize these hacks? At what point did you realize that you had enough to compile them into a book? By the time I’d visited Walt Disney World three or four times, I started keeping a notebook full of ideas on how to navigate the parks and the attractions, and how to deal with the logistics of a Disney trip. 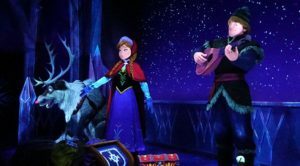 After a while those workarounds became second nature, and I suppose I was a bit obsessive about learning as much as I could when it came to planning the most care-free Disney vacation possible. 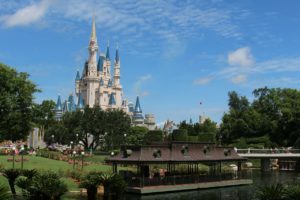 When writing about travel, Orlando, and Walt Disney World became my full-time job, learning the ins and outs of seamless vacation planning was a big part of what I was doing, and because I used the things I learned, they just stuck. When it came to writing the book, I sketched out as many hacks as I could think of, then did a great deal of research to ensure each hack took into account the ways different groups and ages would use them, and the number of hacks I needed for the book built from there. On that note, have you retired any of your hacks over the years due to them being “found” by the masses? As long as a hack is still viable, there will be new visitors who can make use of it even when the hack has become well known to seasoned visitors. I included “Newbie Alerts” in the book, which feature some of the best hacks that new visitors won’t already know. To balance that out, I also include “Pro Alerts” that may be too advanced for newer visitors to make use of, but work well for guests who have been to Walt Disney World multiple times.Some of the hacks I used ten or twenty years ago aren’t relevant any more, but the ones that have stood the test of time are well worth passing on to guests just getting started with their Disney vacations. I’m sure many of these hacks are ones that you’ve discovered on your own from your many visits to the parks, but are there other sources that share these hacks with you? Absolutely! 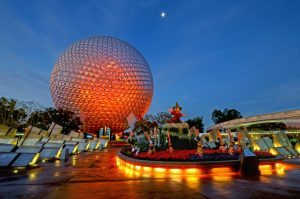 I’m lucky to have direct feedback from readers of the Hidden Magic of Walt Disney World book series, and my other writing about Orlando, and people occasionally tell me about little tips they’ve come across, often by accident. Every family, couple, or solo visitor has their own style of touring, and it’s fantastic when they pass on some wonderful hack they’ve discovered. And, of course, Disney’s Cast Members are incredibly helpful. They really know their stuff, and they genuinely want people to have the best experience possible. I chat with Cast Members and former Cast Members a lot. 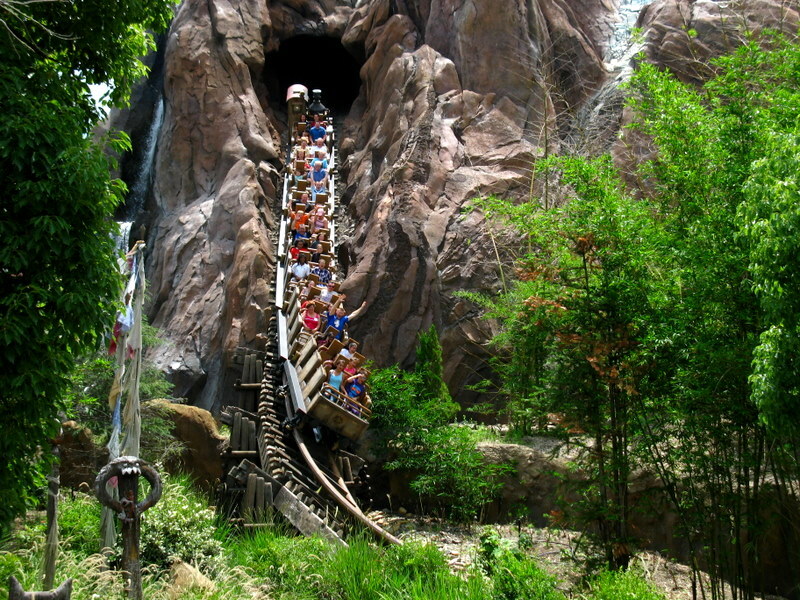 What was your first ride at Walt Disney World? My first visit was during Magic Kingdom’s earliest days, when guests purchased a ticket book with A through E tickets, with A-tickets being rides like the Main Street Vehicles, and E-tickets including 20,000 Leagues Under the Sea and Haunted Mansion. Frontierland didn’t exist, and neither did the land that is now Storybook Circus. I think my first ride was the Skyway gondolas, which ran between Fantasyland and Tomorrowland. We were so blown away by the whole park, which was unlike anything we’d seen before. The gondolas were something familiar, so they made a good starting point and they offered a fabulous birds-eye view of the two lands. I was just a kid the first time I visited, and I do remember having to work up the courage to try Haunted Mansion. It looked so real, and so terrifying! Do you have a favorite attraction at Walt Disney World? I love the classics—the attractions that aren’t based on Disney movie characters, and have their own, original story to tell. It’s hard to choose between Pirates of the Caribbean and Haunted Mansion, but I think Haunted Mansion just nudges Pirates out, for me. The amount of detail, the originality, and the wonderful story behind it really appeal to me, and I just love all the hidden ‘secrets’ along the journey. When I visit Magic Kingdom I often just walk around and enjoy the atmosphere, but a ride on Haunted Mansion is compulsory. Whichever one I’m in at the time! If forced to choose, I would probably choose Animal Kingdom, because it has a cohesive story that encompasses the entire park. It’s beautifully crafted, and a visual delight at every turn. That said, Epcot is such a close second it could be considered my co-favorite. I absolutely love World Showcase, especially after dark. So many wonderful memories from visits there, and while I know the IllumiNations: Reflections of Earth night-time show won’t be around much longer, I’ve always felt it, and the former Tapestry of Nations parade celebrating the millennium, are Disney’s most creative shows, ever. I will weep quietly in a corner the day IllumiNations ends. Jiko at Animal Kingdom Lodge is the winner, mainly as my sentimental favorite. It’s where my husband Simon and I had our first date. Plus, they’ve got a stellar wine list. What advice do you give people who are overwhelmed by the prospect of planning their first trip to Walt Disney World? After buying your book, of course. Take it slowly. Plan one step at a time, don’t let other Disney fans tell you how you “have to” tour, or what you “have to” include, and don’t for a moment feel you have to cram it all in if you’re visiting for a week or less. Think about how you, your family, or your group most enjoy touring, and let that guide you. The more time you take to really experience each facet of your vacation, the more you’ll enjoy it and the more you’ll remember it. And whatever you do, put your phone down unless you absolutely need it. 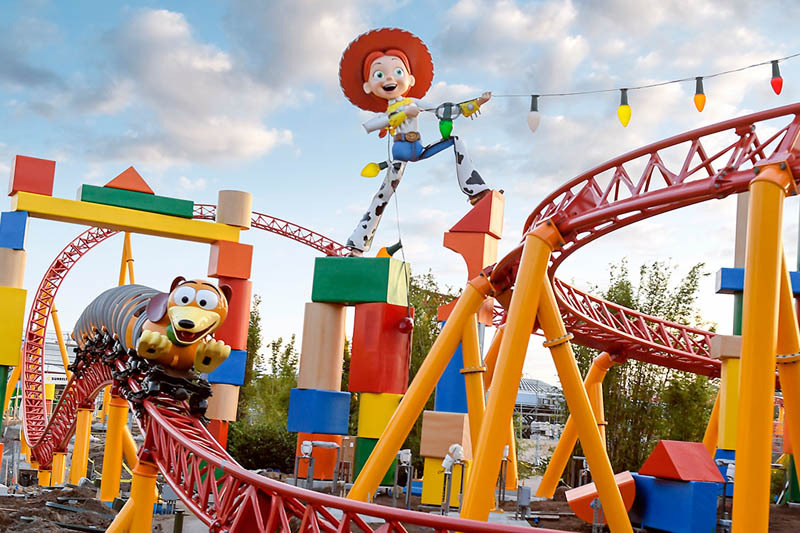 You’ll be surrounded by some of the most creative theme park lands and attractions in the world, and you’ll miss so much of it if your phone takes up all of your time. And remember: you may think you’re planning for the vacation of a lifetime, but the truth is, it’s probably the first of many. You will be back! We’d like to thank Susan for taking the time to talk with us. “Walt Disney World Hacks” is available on Amazon and other online retailers. 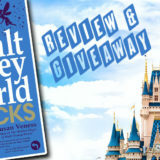 To celebrate the release of Walt Disney World Hacks, we’re giving away one free copy and a Coaster101 Prize Pack with items from parks across the country. To enter, comment below your favorite attraction at Walt Disney World (or the attraction you want to ride the most). 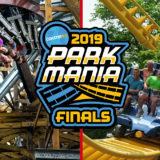 Enter by Monday, April 8, 2019 at 11:59 p.m. ET to be eligible to win. Good luck! Update: Congrats to Jeffrey M. for winning the giveaway. Thanks to everyone who entered! Tower of Terror for me!! Slinky dog dash by far!